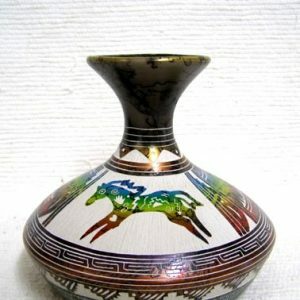 Native American Navajo Fine Etched Horsehair Pot with Kokopelli by Velcita Whitegoat. 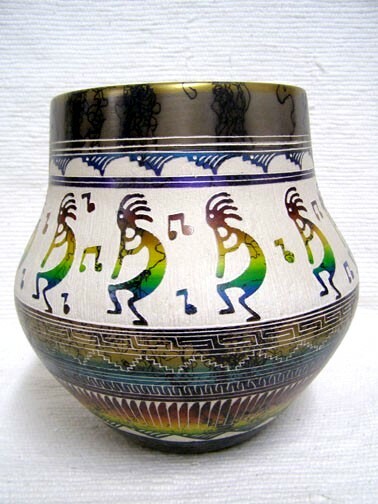 This beautiful fine etched horsehair pot has many Kokopelli dancing all around this shoulder. 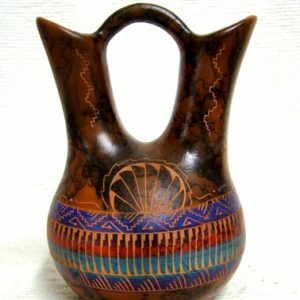 Kokopelli is a magical being who, by playing his flute, calls the clouds to make rain. 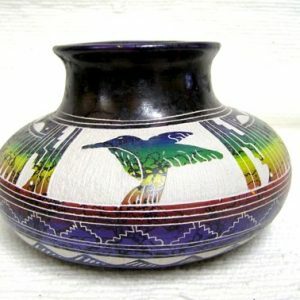 This pot measures 8.5 inches tall x 8 inches diameter. Certificate of Authenticity is included with this item. Please note that the photos are examples ONLY. 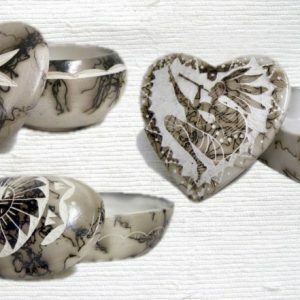 Each piece is hand finished and etching may vary from that shown.